There are currently 23,463 users on this website. 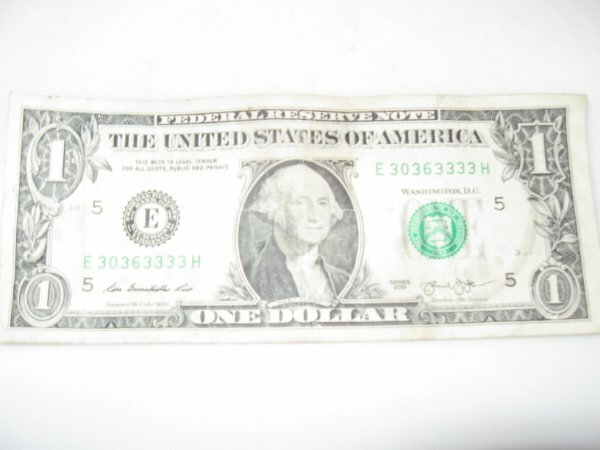 One Dollar Bill, S/S Flipper And Four Threes ? This is the first time posting a dollar. Sorry I don't know the proper terminology yet, but will learn. Thanks for helping. I don't know why the second picture got turned around? Unless I am missing something this is a spender. I do like all the 3's, but the serial is not "fancy". Keep looking though as finding a star or special serial in the wild is always fun. Crazyb0, Thanks for the link its cool! My number is 98.7 Cool. Not sure what that means, but it neat to know. As Crazyb0 said, it's just for fun. Spend that well-circulated guy. Nice to have you on the Paper Money Forum. A filpper (referred to as a rotator) would be O,6 or 9s in the serial number. 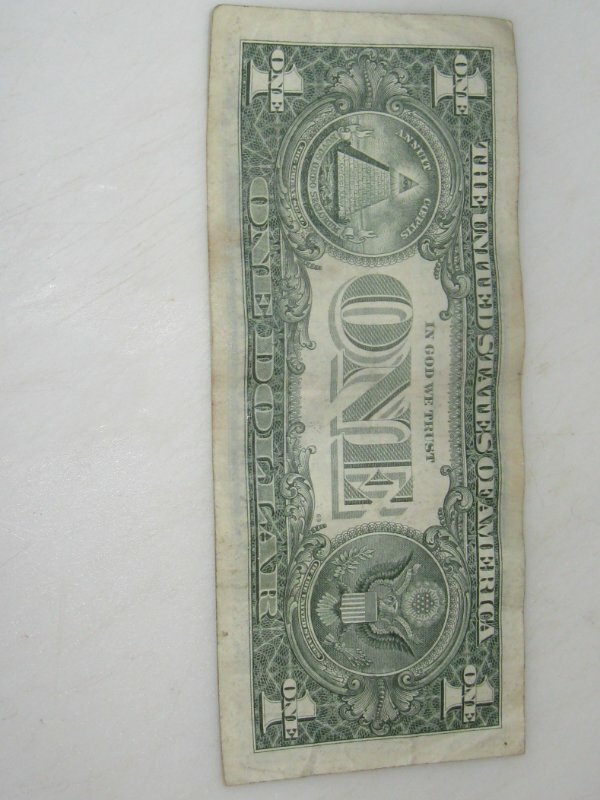 If you "rotated" (or as you refer to ,flipped) the bill over the serial # could still be read. With your's you would have backwards 3s.